We offer a variety of conveyor solutions for the food production industry. 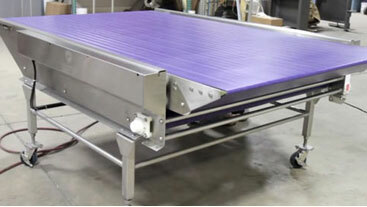 Each conveyor is completely customizable with options for additional sanitation, performance and durability. We know the importance of a quality conveyor and will design and build the right one for your business. 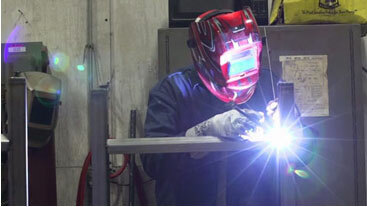 Our designers, engineers, machinists and welders work together to deliver complete solutions for all of your custom fabrication and machining needs. 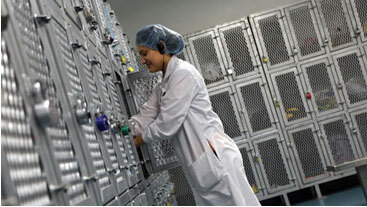 Beyond the production line, we offer a range of solutions for your production environment. From our innovative CleanLockersTM to processing supplies including USDA garbage cans, hair net holders, production floor tables, and more, Eaglestone can make your plant safer, more sanitary, and more productive. At Eaglestone we don’t just build you a conveyor, we’re here to take your line from start to finish with our turnkey Integrations Services. 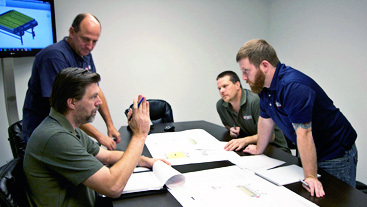 Our experienced team of engineers and craftsmen provide a seamless experience, from design through installation and beyond.